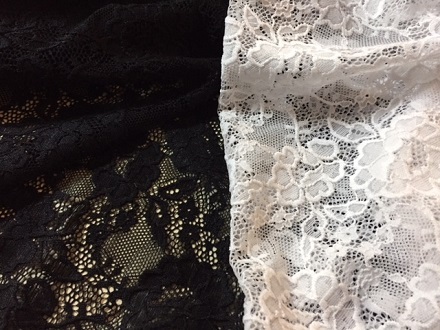 60″ wide Nylon Spandex Absolutely beautiful texture Stretchlace. Stretch in both directions-More stretch with the grain. Great for fashion sewing, lingerie and bridal.